Update 4/25/2013: Strange as it may seem, this car has turned up for sale in Budapest. No price is quoted. Update 3/2/13: Unsold for $24,500, but 4 offers. 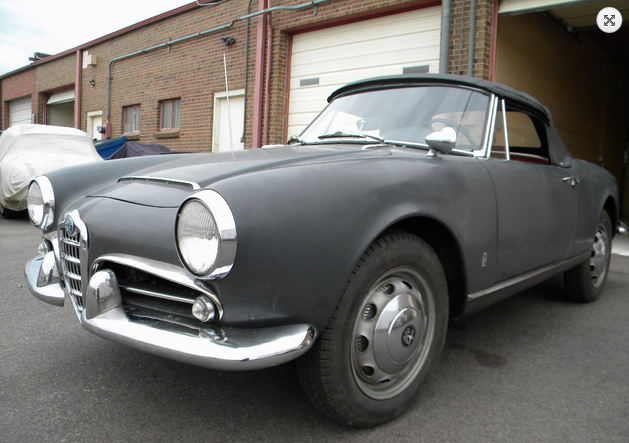 Giulietta Spider 750D 02277, 1315*42184. 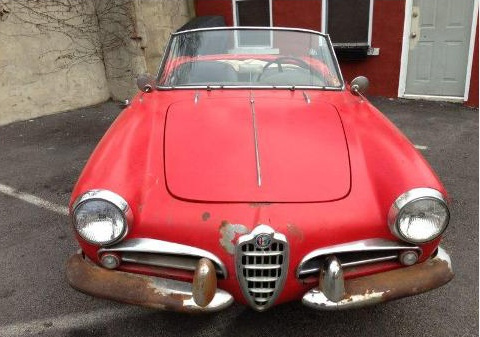 This car is available on eBay out of Barto, PA from someone who knows the enlightening power of a lot of images -137 total! Needs a lot, but is complete and not too rusty. As the seller suggests, it could be used as is and slowly improved if that’s your thing. 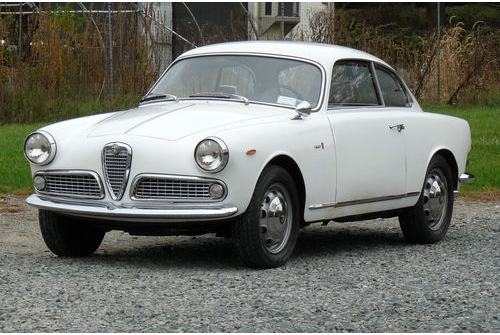 Straight, unmolested and charming. A good cleaning and polishing would make this look really good. I’d be tempted to just remove the bumpers at this point. 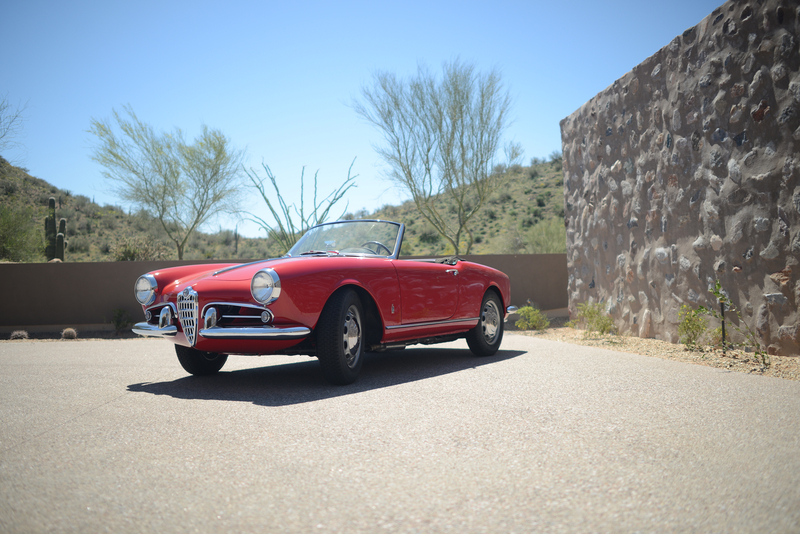 Giulia Spider 10123*375062, 00112*06976. 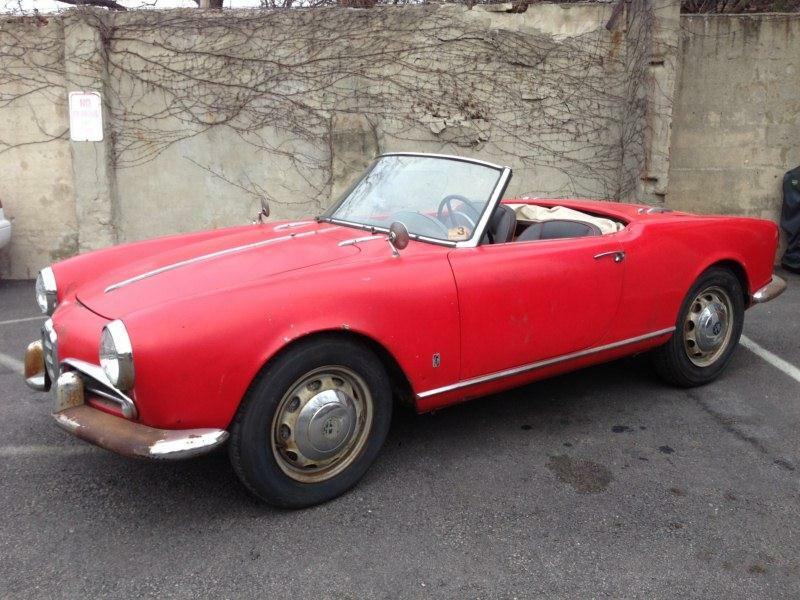 This 1600 Spider is available now for $55,000 from Classic Investments. A trend the last few days: original cars for big money? Guess so. This car looks like it could be polished out a bit more and made to shine. A $55,000 car? Some sympathetic hands could probably get it to the level of Market 467 – and possibly the magic $80,000 range. This was good Veloce money moments ago! Definitely a candidate for some OCD attention to detail. Yes, still my favorite color! Three shoe brake model. Later that day: Asking price is $64,500. Big dough for a 10123? 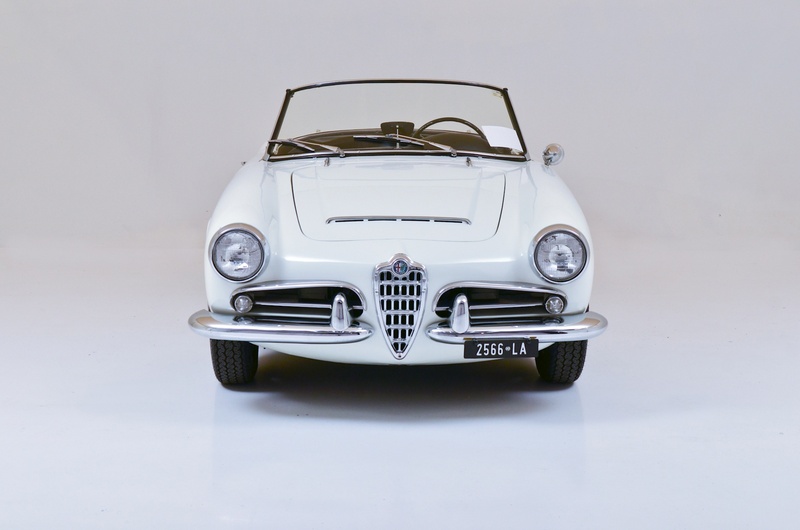 Giulia Spider 1600 10123*379673, 00112*15263. 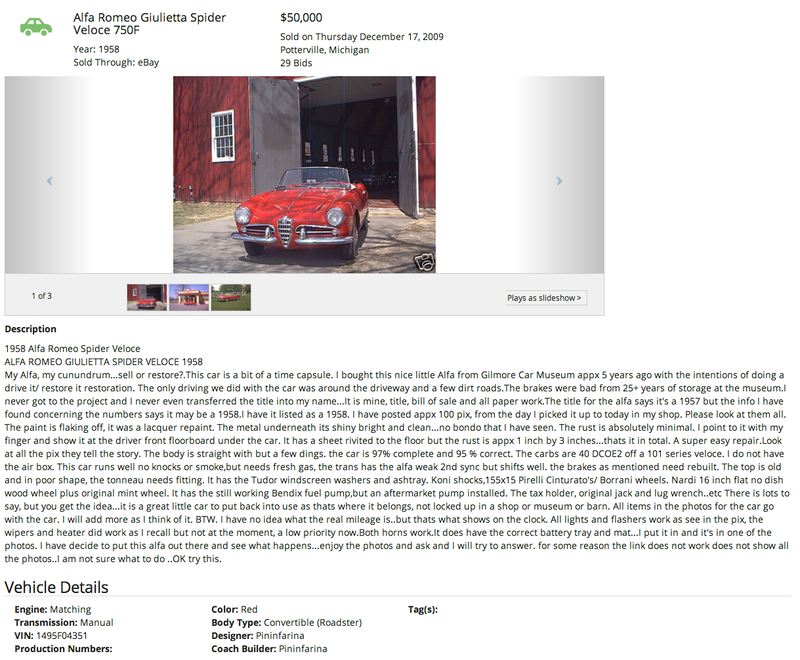 Following in the footsteps of Market 467 is this extremely clean Spider. Presentation is fantastic -almost a little too much production on the pictures some might say, but refreshing compared to the dark low-res pictures I so frequently have to work with. 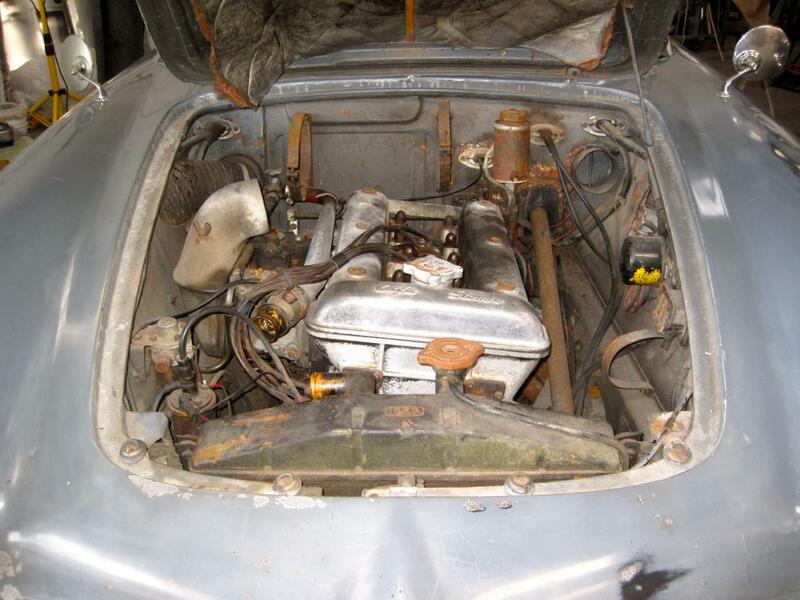 No pictures of the underside are available and the engine compartment could use some detailing, but these may turn out to be trivialities based on what you find when you go look at it.